Learn a few tips about writing a tech review. While writing a technical review, you should follow a methodical approach. Alec reports for TechWelkin. There are more technology reviews out there than you can count. A quick internet search will reveal tech reviews on everything from specific products to market trends, comparative reviews, and reviews for specific audiences. These reviews vary in length, tone, and specifications. Before buying a new product, people rarely rely on the opinions of their friends and family alone, but often do a fair amount of research by searching for and reading reviews online or in print. With an overwhelming amount and variety of reviews on the Internet, in tech magazines, and on TV, it may be hard to know where to begin if you want to start penning reviews of your own. In this article you will find a few tips to help you get started. Pretty soon you will be able to add your own voice to this growing resource. The first thing you need to do is choose a product you’re interested in and do your research. Here are the best ways to get the information you need. 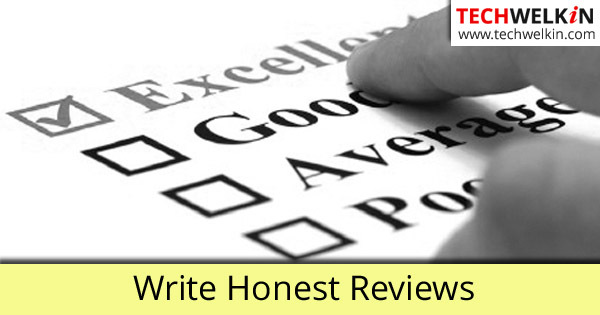 Learn How to Write Good Reviews. Read about the product from various perspectives. It is a good idea to see what the manufacturer says about the product and its features. If you’re reviewing a BlackBerry product, look at the website to find out more about the specs and the capabilities of the product. Study the specs and take note of any innovations and evolutions in technology from one product to the next. Be sure to take notes for later! Look for any multimedia that can add to your knowledge base. For instance, search through sites like YouTube and Vimeo for not only product reviews, but also finished products which were made with the gadget you are reviewing—such as a film recorded and edited with smartphone apps. YouTube video shows you in real time what the tablet looks like when it’s in use. Reviews like this can start to give you a more complete picture of the gadget. Focus on how the product is unique and how it markets itself. How does it aim to stand out from the crowd and assess whether you think it succeeds. Next, check out social media opinions of the product. By focusing on people’s Facebook statuses and tweets, you can get a sense of what the public’s immediate response was to a product. Compare various reviews in order to get a full picture. Never take one opinion, even from a reputable source, as the only truth. Certain reviews may only focus on limited features, so the more you read, the better. Try the device or gadget yourself. Though it may not always be easy to get your hands on the product due to price, or exclusivity, a little effort is sometimes all it takes. Pop into your nearest electronics store and try the device on display. You may not be able to access all of the features, but you will certainly have a better understanding of how it works, than if you are just reading others’ reviews online. Depending on who you are writing the review for, call up the company’s PR representative, give them the name of your publication and details the type of review you are doing – you might just score you access to the product itself! When looking at a new product in the flesh, so-to-speak, there are several things you need consider. Let’s take a smartphone, for example. Ask yourself what your first impressions are when holding the smartphone. Does it look chic and sophisticated? Is it easy to navigate? What entertainment features does it have? How does its price compare to other similar products? How big is the screen? How long does the battery last with continued use? What is the warranty like? Looking into these questions is a sure way to get the ball rolling on your review. When you have all of your notes from the above research, you are finally ready to write. Now you must choose your perspective. There are countless ways to approach any topic, and choosing your approach may well be one of your hardest challenges. You should know your audience. If your piece is meant for a lifestyle magazine or a general entertainment blog with a technology section, then your audience is likely an interested but not entirely knowledgeable group. In this case, it is possible to write a review that draws on broader tech themes, such as the future of the mobile phone industry. Using a general theme as a frame for your tech review will draw in readers who may never have heard of the new gadget or mobile phone you are reviewing. If you are writing for a technology magazine or blog, be careful to write more specifically about the product’s specifications, as your audience is likely already aware of the general trends. Perhaps you are writing for a student magazine or blog, or another specialty publication? In that case take an angle that most suits your audience, from the best payment plans for tech gadgets, to the best tablet to write a research paper on. Be careful to avoid bias. While we all have preferences, your opinions must be based on the facts before you. A good reviewer does not have an agenda in mind, but is willing to open his or her mind to new perspectives and learn along the way. I hope these tips will help you writing better technology reviews for your blogs and websites. Please let me know what all things you consider before and while writing a tech review. Tech Fun: You Could be Infected by Facebook Addiction! how do i get images of the gadget for my blog for the review of the gadget, without copyright? Your article was helpful. Tech bloggers really need to have in-depth knowledge about the product they are reviewing.